Integrating key concepts from biology, medicine, neuroscience, and psychology, Ernest Rossi has forged a revolutionary new paradigm that encompasses mind, body, and spirit. 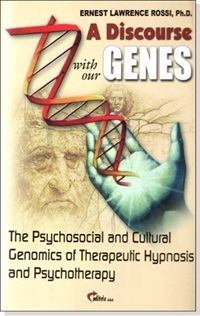 Rossi's new world view— Psychosocial and Cultural Genomics— has profound implications for understanding the human condition. He describes how we can all learn to facilitate our evolving consciousness with numinous experiences of Art, Beauty, Truth, and Happiness in our daily creative work of building a better brain. Heart-based intelligence is an effective tool for expanding and empowering the self. Theory and techniques will center on mindfulness, HeartMath,™ hypnotic self-suggestion, Somatic Experiencing,™ and Energy Psychology to teach heart-opening expansion and strengthening of the whole self. Techniques will focus on ways of lowering emotional stress and reducing inner conflict, while increasing heart coherence, emotional maturity, and resonance. Participants will explore research on the brain-heart dialogue, the impact of positive emotions, and experiences that create heart-centered resonance with self and others. Positive Psychology suggests a shift in focus to what’s right with people. Mindfulness suggests a shift in focus toward acceptance and being more fully present. As soon as suggestion and focal shifts are employed in treatment, the patterns of hypnosis are inevitably involved. How can hypnosis amplify the merits of Positive Psychology and Mindful Meditation? In this workshop, we will explore the roles of selective attention and unconscious processes in engaging people in experiential learning. Educational Objectives: Learn the philosophies of various practitioners and theorists. Lasting solutions imply a second order change, which is a change of one’s own identity system. Basing on strategic- constructivist tradition, we developed three techniques. The first one aims to re-frame identity systems characterized by feelings of inadequacy and social inhibition. The second one aims to change identity systems characterized by feelings of victimization. The third one is used with subjects who feels dependent on others. 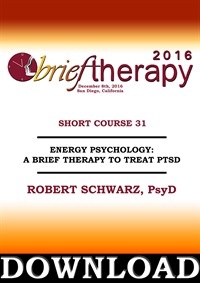 Clinical experience and research has shown energy psychology (EP) to be a highly effective brief treatment of PTSD in contexts that range from war related PTSD in US veterans to the effects of genocide in Rwandan orphans. 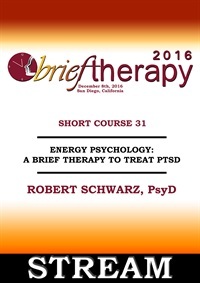 This workshop presents an elegant integration of Interpersonal neurobiology, polyvagal theory and memory reconsolidation that underlies energy psychology approaches to trauma treatment. Discover how to actually remove the traumatic energy/emotions from traumatic events that facilitates insight, mindfulness and posttraumatic growth. 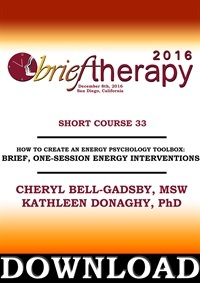 Drawing from and integrating the latest neurobiology and energy psychology research findings and case studies, we present an array of brief tools and skill sets to guide therapists in the incorporation of energy psychology techniques into their existing practice and therapist toolboxes. This workshop will include demonstration and skill practice. 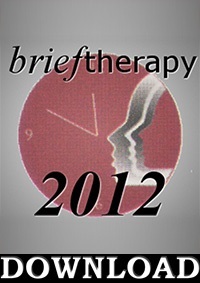 In brief therapy, we have to be better than long-term therapists in getting people to change and cooperate with treatment. Recent research from social psychology, behavioral economics and the new brain science show three powerful principles for being persuasive. Why do marketers know all this and most therapists do not? Come and learn how to be at least as persuasive as marketers.